​If you know anything about Klay Thompson, you would know that he's anything but just a catch-and-shoot player. You'd know that he is also one of the NBA's best defenders. 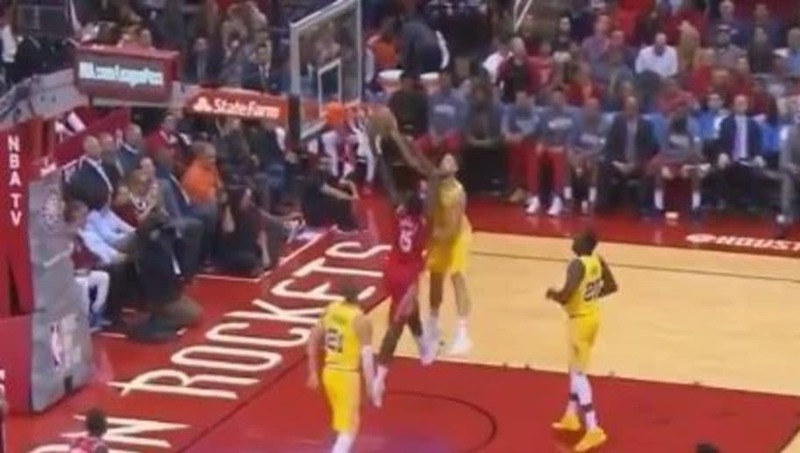 But you probably don't see him block players too often, especially not in the way he erased Clint Capela's shot slam here. ​​Yep, you saw that right. Thompson actually rejected Capela when he thought he had an easy stuff. Defense led to offense, as Thompson kept the ball in play and ignited a ​Warriors fast -break. Jonas Jerebko received the ball and drove in for an easy layup to cap off a great play. Maybe there isn't that much tension in the locker room after all that's been said about ​Draymond Green and Kevin Durant. After all, the teamwork in the previous play looked just fine. In fact, another good play from Golden State featured Green feeding Durant on the break for a one-handed flush. ​​Things don't look disastrous thus far for the Warriors. Perhaps Green and Durant agreed to keep the chatting off the court. At the very least, the arguing doesn't seem to have affected Thompson's defense.